Low-dose CT: new tool for screening lung cancer? Lung cancer is the leading cause of death from malignant tumours as it is very common and has a poor prognosis at advanced tumour stages. Prognosis could be improved by treatment at early stages. As these stages are usually asymptomatic, a diagnostic test that would allow detection of early tumour stages in a population at risk could potentially reduce mortality from lung cancer. Previous approaches using chest radiography and sputum cytology in smokers have been disappointing. Fluorescent bronchoscopy and molecular markers are not yet applicable in clinical routine. Because of its high sensitivity for small pulmonary nodules, which are the most common manifestation of early lung cancer, CT appears suitable as a screening test. Low-dose examination parameters can and should be used for this purpose. From clinical practice it is well known that chest CT often demonstrates small pulmonary nodules, which do not represent lung cancer. Therefore, non-invasive diagnostic algorithms are required to avoid unnecessary biopsies in benign lesions. 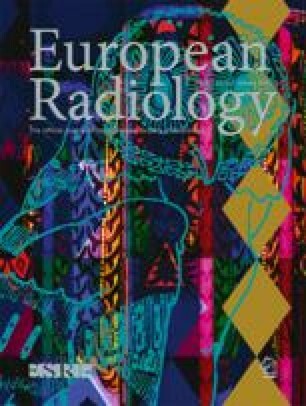 In preliminary studies of low-dose CT using algorithms based on size and density of detected nodules a large proportion of asymptomatic lung cancers and a large proportion of early, resectable tumour stages were found with a small proportion of invasive procedures for benign nodules. Before this technology can be recommended for broad application, however, further information is required regarding appropriate inclusion criteria (smoking habits, age groups) and screening intervals. Most importantly, further data are required to clarify whether lung cancer screening using low-dose CT can actually reduce mortality from lung cancer.